Unity3D is a cross platform game engine to develop video games for web, desktop, consoles and mobile. During development, game code written in Visual Studio can be tested quickly; directly in the Editor. However, game code will eventually need to be deployed, for example, onto an actual mobile device. 1. Build (or update) scene in Unity3D. 2. Write game code in Visual Studio. 3. Test game code in Unity3D Editor. 4. Switch platform to mobile device. 5. Build and Run game on device. Fortunately, there is a more efficient way to test game code on mobile devices directly: Unity Remote. Unity Remote: an application that targets mobile device as remote control for your project in Unity editor. Development is quicker to test through remote control rather than deploy to the device after each change. At the time of this writing, Unity Remote is available for Android on PC and both Android / iOS on the Mac. Reference: Unity Remote setup tutorial on You Tube. Outline of steps also available on Unity Answers. Download Java SDK and install. Unity3D may also require 32-bit JDK installed on 64-bit Windows. Download Unity Remote onto Android device (Samsung Galaxy 4.2.2). Choose Settings | More (top right) | Developer options and configure. Choose Settings | More (top right) | About device. Tap Build number multiple times. Download the Android SDK and extract to root folder, for example, D:\Android. Note: apparently the Unity3D application does not agree with root C:\Android. Update any additional Android packages required for all target devices as necessary. Right click Computer | Properties | Advanced system settings | Environment Variables. Launch command prompt: Windows | Start | Run | cmd. Type "adb devices". List of devices attached should be empty when no Android device attached. Connect Android device to PC; Windows should download and install correct USB drivers automatically. However, on certain Android devices, you may need to download and install the USB drivers manually. Navigate to the device manufacturer website and download USB drivers as necessary (e.g. Samsung). After USB drivers installed, launch command prompt: Windows | Start | Run | cmd. Type "adb devices". List of devices attached should now include hex code for currently connected Android device (as above). 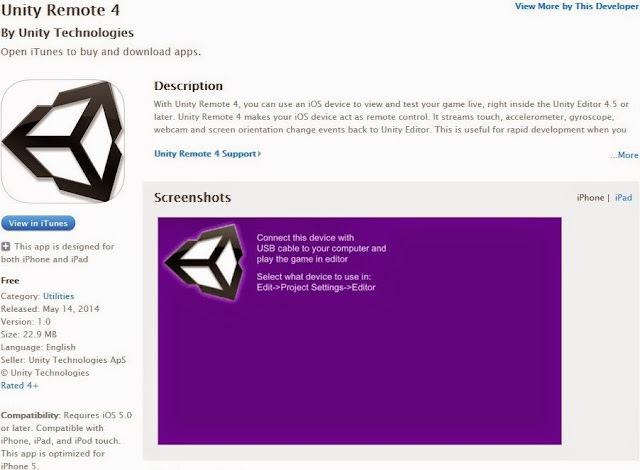 Finally, launch the Unity Remote application on the device before executing the next step: Unity3D. Launch Unity3D. Choose to create new project or simply open an existing project. Click the Play button. The game will play directly on Android device as well as in Unity Editor! Below are instructions to setup Unity Remote on both Android / iOS devices but this time on the Mac. Download Java SDK and install. Here, there is typically only one option for the Mac OS X.
Download Unity Remote onto iOS device. No additional configuration should be required. Download the Android SDK and extract to root folder, for example, to root /Android. 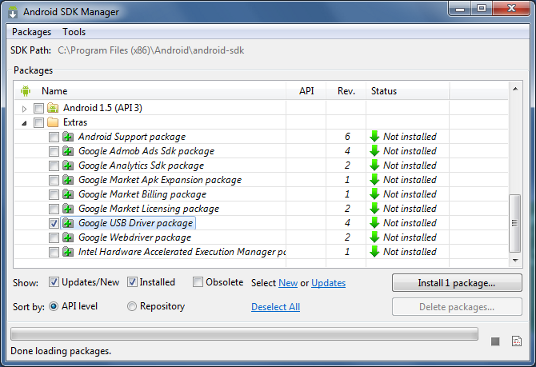 For example, it is standard to install the Android SDK Tools and any relevant Extras. Launch Terminal window. Add new ANDROID_HOME system variable and extend Path. While Terminal window is still open, type in the following: "adb devices". List of devices attached should be empty when no devices are attached. Connect Android / iOS device to Mac. Apple should detect device without any additional configuration. Launch Terminal window. Type "adb devices". Hex code for connected Android device should be listed. Click the Play button. 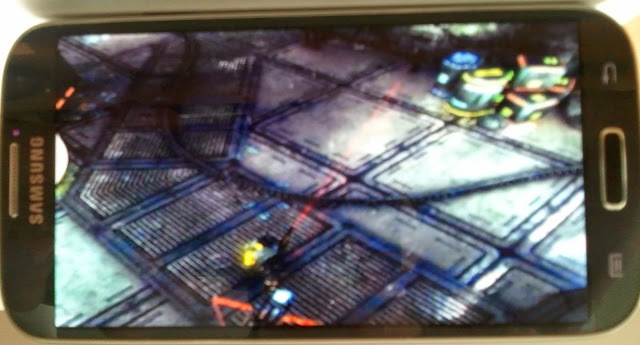 The game will play directly on iOS device as well as in Unity Editor! Note: choose Any Android Device for equivalent experience on Android as outlined above. //Execute script code when Build Settings Platform: iOS. //Execute script code when Build Settings Platform: Android. Note: targeting single code base to multiple devices may benefit from Device Factory implementation. 2. Launch Unity Remote on device(s). 3. Launch Unity3D game project. 4. Choose platform + device. At the time of this writing, Unity Remote will not work when iOS device attached to PC unfortunately. Important: pressing play will always execute UNITY_EDITOR code regardless of platform or device! Unity Remote does lessen time taken to view constant (minor) changes on target mobile device(s). However, you will eventually you will need to deploy game code to the device and test directly! Again, this can be channelled through Unity3D: choose target mobile platform then Build and Run. On the other hand, the process to build and run once per device can also be a lengthy process. Therefore, it would be better to package game code once to be deployed to multiple devices. That is, the process of Automated Builds. This will be the topic in the next post. Unity 3D Games is straightforward building framework empowering iphone app designers and others to gather and tweak levels of the application at the velocity of thought. Alter, test, and play creating applications utilizing Unity.